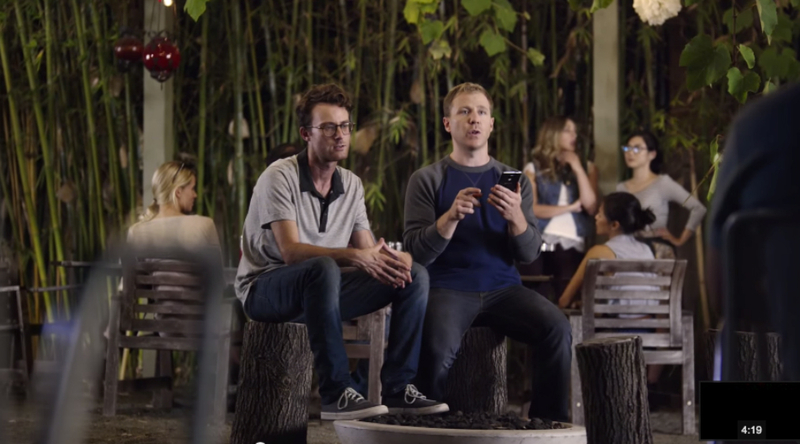 A new video from Samsung is here to highlight the Galaxy Note 4, without actually highlighting the phone whatsoever. In the video, named Note Pun Intended, two best friends and one of their girlfriends attempt to twist everything they say to include a Note pun. At first, the girlfriend thinks the game is stupid, as is customary for girlfriends to think. Then, after what seems like months, she catches on and becomes the master of puns. Also included is a bit of fantastic dialogue between the two roommates and a bartender/barista, one roommate landing a hottie at a bar using Note puns, and plenty of smack talking on the basketball court. At first the video is somewhat enjoyable, then mildly painful, then back to being funny near the end. The video is below for your viewing pleasure.